First off, what is truck detention and what is detention pay for truckers? When shipments aren’t ready to be loaded, even if a truck driver arrives on time, the trucker is “detained” and must wait for freight (and its paperwork) to be prepped. The industry standard is to have trucks loaded in two hours. After that, shippers are expected to pay an hourly rate for every hour that a truck driver is detained. Detention pay can range from $25-100 an hour. DAT surveyed 257 carriers and owner-operators, and 63% of them said that the average amount of time they spend waiting for a shipper to get them loaded or unloaded is more than 3 hours. In the same survey, only 3% of drivers said they receive detention pay for at least 90% of their claims to the shippers. On top of not always being paid, a detention fee does not fully make up the cost of the driver’s stationary truck and lost time. Added consequences for extended detention can include 1) missing an unloading time or 2) needing to pass on another load due to a missed pickup. This all adds up. According to a 2018 study by the Department of Transportation, truck drivers lose $1.1 billion to $1.3 billion in pay every year because of detention time. Thankfully, ELDs are providing the data necessary to prove detention time is a critical issue that needs to be addressed. According to our ELD survey conducted last fall, 43% of carriers state that the number of shipper/receivers they refuse to go to has increased since the ELD Mandate. These locations all have reputations of long load and unload times. Carriers stated they also tend to avoid any shipper/receiver that has strict appointment times and does not offer delivery windows. Our survey also showed that 77% carriers are much more selective in the shippers/receivers that they are willing to load in/out of since the Mandate and 80% of carriers stated that there are now facilities they will absolutely not load out of. Only 17% of carriers will wait as long as it takes to be loaded while the majority will wait only up to 4 hours before pulling their drivers. 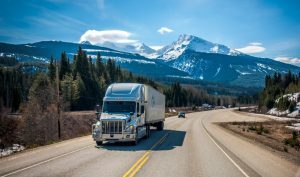 The good news is that as demand for trucking has fallen in recent months, so has facility pick up wait times, according to Convoy data presented in the January FreightWaves Market Update. While the numbers are trending positively, that doesn’t mean that detention issues are gone. Shippers and receivers should still work proactively to address detention pitfalls. Everyone loses money when a truck driver is detained. Shippers/receivers with high detention times pay more through added fees and inflated rates, while drivers lose their potential to earn. Here are a few ways that shippers/receivers can improve their operations and lower instances of detention. 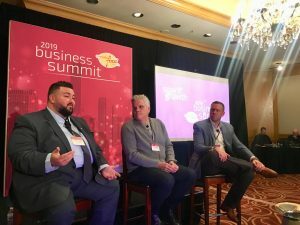 A shipper told Uber Freight that when they staggered pickup times they improve operations and saved roughly $300 in detention time per load. Similar to staggered pickup times, adding more hours of operation can decrease congestion and lower detention for truckers. With more time, appointments can be spaced out and wait times decreased. Weekend and/or evening hours can go a long way to improve efficiencies. Having doors dedicated to different modes helps to keep things running smoothly and quickly. High-velocity doors and LTL doors can help ease congestion for drivers. Not feasible for everyone, but, if you can add more dock doors or move to a warehouse that has more dock doors, you can accommodate more appointments and lower wait times. When able to facilitate a drop trailer program, detention is largely removed from the equation. Truck drivers can simply unhitch and keep moving/earning. Unready freight is one of the major causes of detention. Orders can be packed and prepped quicker when there is more labor on site to assist. Hiring more warehouse staff can help to quickly improve facility operations. It all really comes down to improved planning, more visibility, and optimized labor. Smart shippers are looking at data to establish effective processes that prevent overscheduling of appointments, maintain adequate staff and equipment, and address problematic facilities. Zipline’s shipper intelligence tool KanoPI helps customers see which of their shipping/receiving facilities have the longest wait times and highest costs. It also highlights key performance indicators (KPIs) like on-time delivery and pickup percentages, average wait time, spends by mode, and average cost per mile. With this information, shippers know exactly where problems exist and can take solid steps towards improvement. Need help with your logistics?